Do you need healing or know someone who does? This 2 CD series contains the ultimate combination of testimony and scripture. 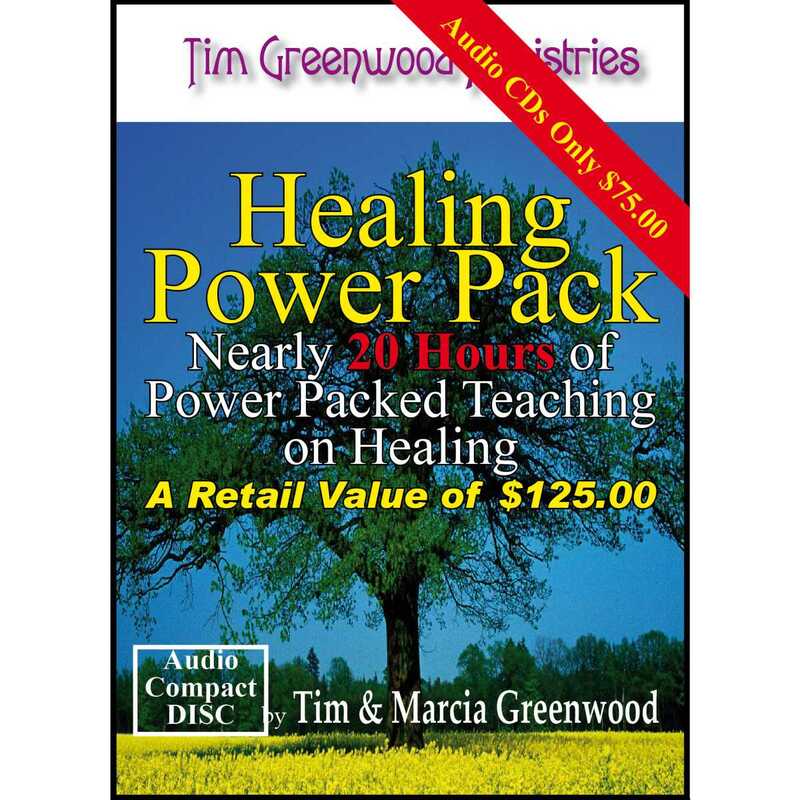 The first CD is Tim’s faith building testimony of healing from terminal heart disease, combined with lots to teaching. The second CD is full of awesome healing scriptures and encouragement – designed for continous day and night background play. This will pump the Word of God deep into your heart. These CDs will build you up, equip you and encourage you as you stand in faith for the complete manifestation of your healing. • Is it God’s will for me to be healed? • What must I know to receive Biblical healing? • What must I do to receive Biblical healing? • How do I keep my Biblical healing? • How do I receive my biblical healing? 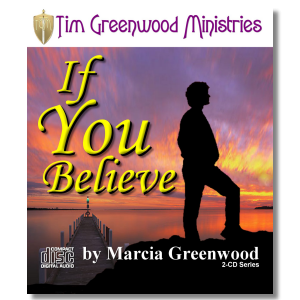 Tim and Marcia Greenwood team up to answer these very important questions and much more during the 5 classes taught in this 4 CD series. “Understanding Biblical Healing” is taught in simple and easy to understandterminology; using down to earth illustrations; in a Bible School classroom format; straight from the Word of God. What is and is not real Bible faith? What are the prerequisites to real Bible faith? Why do we need it? Where do we get it? Who is able to use it? How do we use it? How does it actually work? God wants you saved, healed and delivered. He wants to provide for all of your needs. He even wants to give you the desires of your heart. But there are several obstacles that can keep the believer from receiving from God. nausea, a feeling of losing control or other symptoms of fears or phobias? …If so, it’s time to conquer fear and anxiety! Far too many people are being taught that learning to cope with fears and anxieties is the most they can expect. But coping with fear and anxiety is not enough! 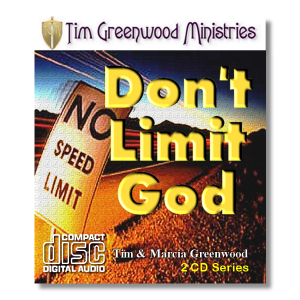 This powerful 2 CD audio series will teach you what fear really is, how fear works and how to stop fear in it’s tracks! Putting all of this information to work will cause anxieties to vanish, confidence to soar and will produce results that will last a lifetime. Just imagine never fearing anything ever again! Do you know the authority that has been vested in you? Too few Christians understand the authority that we’ve been given and even fewer are walking in that authority. Before Jesus returns there will be an entire army of believers who will rise up with the authority that is theirs – and will complete the work that the Lord intended them to do. Get ready now through this 2 CD series! Were you trained how to use your armor? Were you trained to use your sword and shield? And it almost cost me my life! 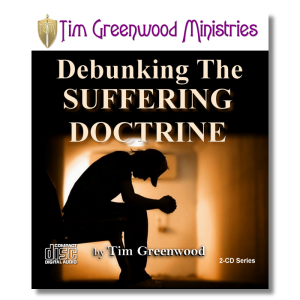 Learn NOW through this easy to understand 2 CD series! When I was dying and they told me there was no hope, I knew the scripture but I didn’t know that the armor belonged to me and I hadn’t learned how to use my sword and shield. The lack of this knowledge very nearly cost me my life. I don’t want it to cost you yours!